This past month has really flown by. Lets see…. I have a brand-newly designed website Dashaina.com thanks to my awesome webmasters/designers Roger and Dinah!! So if you have a chance to go check it out, you should! All of the items that I am selling to the public are available for purchase under the Dashaina & Co. store. There are links to get to the blog, to see my youtube page and to just say hi. Let me know what you think! On the Domefront, J and I have been working like crazy to get things finished so we can enjoy our little one who will be here in less than 4 months!! Everyday brings us closer and I find Whoosh moving around so much more! It is truly the neatest thing growing this little person inside me. The banana apartment was finished last weekend and our summer guest SM moved in and loves it! I posted a video up on youtube of J and I building it, so take a look if you’d like to. I’m still working lots at Sandy’s and J is still working lots around the dome, which is outstanding. Yesterday he built a rain collector, which is really cool! Last week he built a new BBQ pit for us to cook outside standing up, instead of crouched over. He also redid the gazebo structure in a lean-to fashion with a metal roof and gutter (which is how we collect the rain now). We also put together a new and very cool outside toilet for our guests to use! It is closer to the banana building than the old toilet and has a cool cover and privacy wall. SM and I are going to paint it on Monday and then I can post a picture of it. There are plenty of other projects to finish around the house and everyday has been working out with the weather so that we can accomplish those things. On the garden growth… the plants seem to be super happy outside and growing like crazy! The carrots are like a mini forest and we have fava beans. Since we participated in a CSA this summer, we get organic farm fresh veggies every Monday from a farm just 3 miles away and are eating really well this summer so far. They even gave us a few plants with our shares a few weeks ago (a bell pepper and a sweet pepper) and I put them in the garden and in front of the banana building where they are thriving. My sister Soni came to visit last week and had a blast, I think. She was so super helpful and I am very excited to see her again in October for the birth of woosh. We went raspberry picking around the pond together. After Soni left, we turned all the raspberries into Jam!! We’ve done 2 batches so far and they are tasty!! On Monday when we do our domebque we are going to pick some black raspberries and make more. Well thats it over here….. 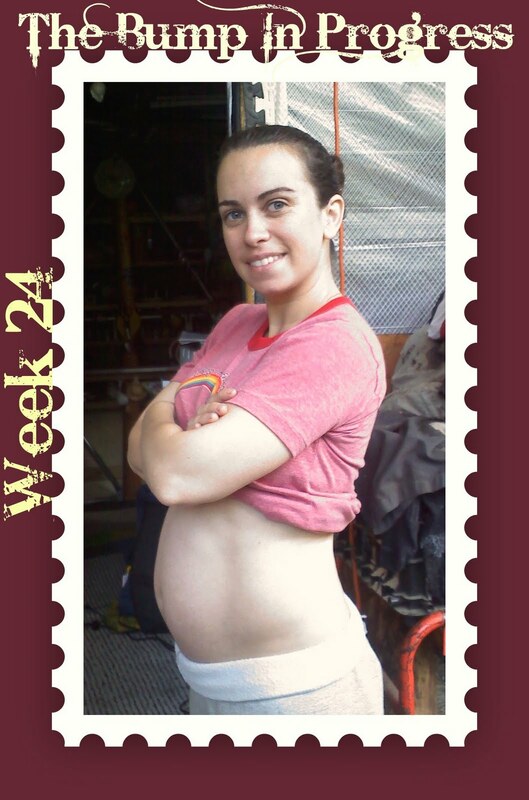 Previous PostPrevious Halfway through the Pregnancy at Week 20!! Next PostNext OMG!!! Less than 8 weeks to go…Running like a headless chicken.